Ever wanted to know how tailors shorten a dress? See inside our studio for our dress alterations in action. To shorten a dress several factors need to be considered before alterations begin. First, the client's needs then the dress' fabric, hem and any embellishments. The fabric may dictate how the garment is shortened. Where the finish of the hem may be different on different layers. 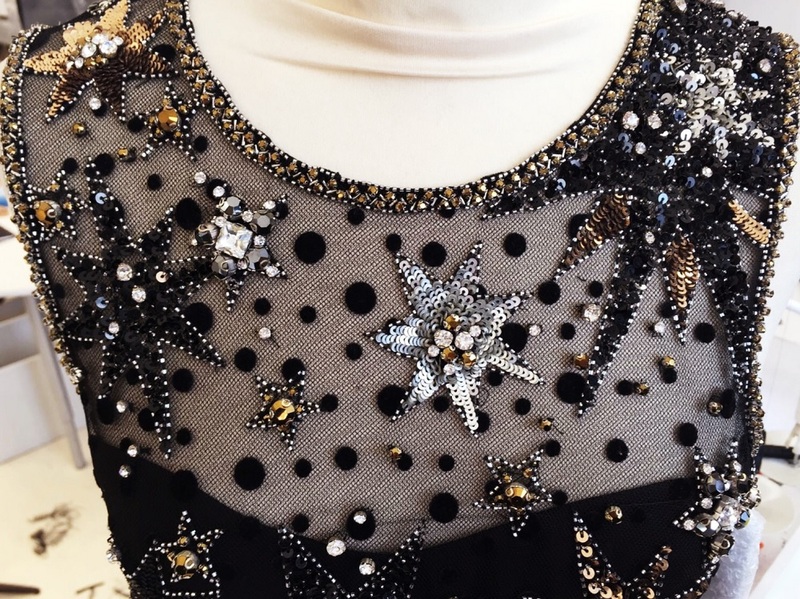 Finally embellishments takes precision and time whilst maintaining invisible alterations. Here's a few examples of how London Fitting Rooms uses their skills when approaching all these elements to shorten a dress. We are shortening the hem of this Zuhair Murad gown. The knee seam allows us to alter the length without touching the scallop. We can, however, shorten a hem from the scallop. This is usually a more delicate process that takes a little longer. Watch our bridal alterations in action with this Rime Arodaky wedding dress. 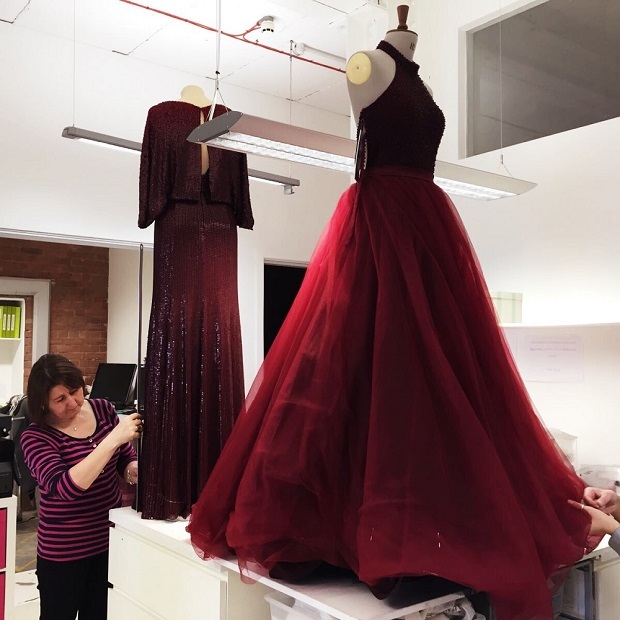 Burgundy is making a comeback in our studio, first with this Jenny Packham dress alteration. You can see the future hem being indicated with the white thread. During shortening, the sequins will be secured and reapplied where necessary. This will keep the original consistent finish. The evening gown alterations on this bottle green Carolina Herrera dress involve shortening the hem. Keeping the crinoline edge and reapplying it. The crinoline edge helps to bring out the flair of the circle skirt even more. Another beautiful burgundy evening dress in our studio is from Jovani. The dress hem is wide and layered. The pinning of each layer has to be checked before we start the job. This doesn't allow any room for error in achieving the perfect hem line. We shortened the hem on this Jenny Packham dress and then used the cut-offs to create ruffled sleeves. The starry design is also perfect for winter and the velvet dots are oh-so on trend. See the finished dress alterations in this video. This Elie Saab wedding gown is in the princess style and will make you feel like one too. The sweet-heart neckline is complimented with lace. Currently the hem and layers of tulle are being shortened in our studio. Enjoy our Elie Saab bridal alterations up-close. Our tailor, Ausra, is working on this asymmetrical hem dress with five layers of fabric from Jovani. There's satin layers, tulle and the lining. The top layer has a raw edge finish which requires dexterity and precision when shortening. Watch our dress tailor in action with this video.